StickLights were designed using the latest in fluorescent lighting technology. EncapSulite Stick Lights are used worldwide in applications such as trade show displays, point of purchase displays, restaurants, casinos, nightclubs, and office buildings. The use of these decorative fluorescent lighting fixtures is only limited by the imagination of the designer. A selection of 20 exciting neon type colors is available in stock, ranging from soft subtle colors to attention grabbing vibrant colors. The look of neon and the economy of fluorescent lamps make these lighting fixtures perfect for any application. Custom colors are available on request and special quote. Minimum orders may apply on custom colors. 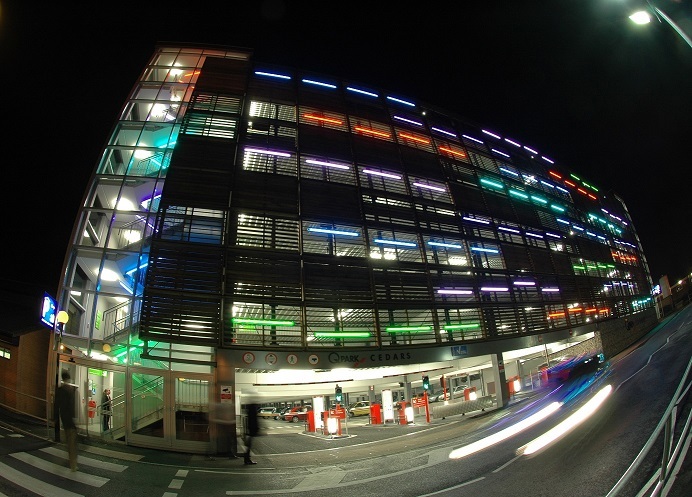 See how EncapSulite's fluorescent decorative lighting is used throughout the world. Simply remove one of the safety end caps, slide a white fluorescent lamp inside and replace the end cap. It's simply that easy to go from plain white light to a stunning, vibrant attention getting colored lamps and it's cost effective. 21 Stock Colors - Custom Colors available on request - minimum orders may apply on custom colors. Available in T5 - T8 - T12 diameters.